R+D was awarded a contract to design and manufacture an Automatic Carton Labeling System. The system will print and apply serialized labels and tamper evident seals. This is one of many carton labeling systems that R+D has built since Congress passed the Drug Quality & Security Act (DQSA) in 2013. Title II of the Drug Supply Chain Security Act (DSCSA) outlines steps to build an electronic, inter-operable system to identify and trace certain prescription drugs as they are distributed in the United States. The goal of the DSCSA is to help the FDA track certain prescription medications through the supply chain and quickly identify and remove counterfeit, stolen, contaminated, or otherwise harmful drugs before they reach consumers. 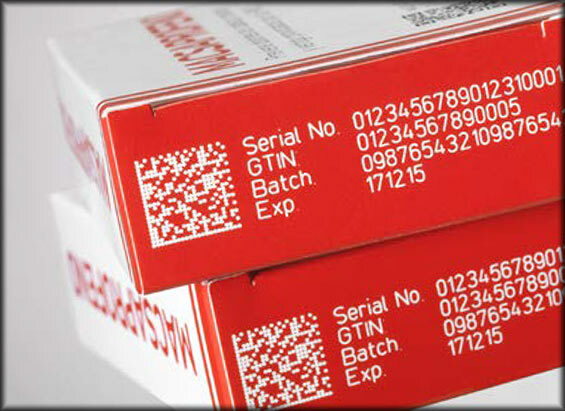 R+D has integrated serialization systems into existing labeling lines and has also built these systems from the ground up. Whether you’re looking to apply labels to cartons, gallon-sized containers, syringes, vials, or any other type of container, R+D can help. Click this link for more information related to the Drug Supply Chain and Security Act.